Phuket, Thailand, 4 March 2019 – Marriott International’s hotels and resorts in Phuket have joined forces to host another important event aimed at raising awareness about motorcycle safety among local schoolchildren. 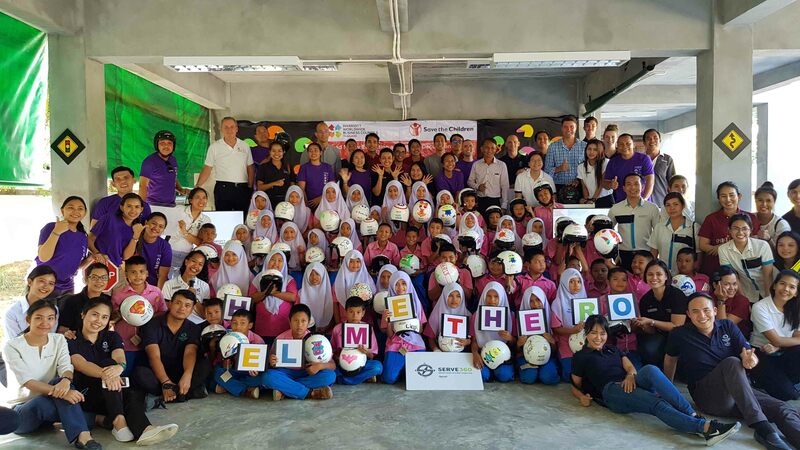 The 2019 Helmet Painting initiative saw representatives from eight leading Marriott hotels meet with Grade 3-4 students from Baan Ko En School in Phuket. A total of 50 motorbike helmets were handed out to the schoolchildren, who were able to paint the helmets and give them a personal design. This valuable CSR activity was designed to emphasize the important messages of road safety and wearing a helmet when traveling by motorcycle. If the helmets help to save just one of these schoolchildren from death or serious injury, the event will have been an immeasurable success. According to the World Health Organization (WHO), Thailand has the second highest road traffic fatality rate in the world. Figures also show that approximately 90 percent of children across Thailand still don’t wear a helmet when riding to school by motorcycle with their parents or siblings. This means that every day, millions of Thai kids are risking their lives simply by going to school. Marriott hotels taking part in the initiative included Renaissance Phuket Resort & Spa; Le Méridien Phuket Beach Resort; Phuket Marriott Resort and Spa, Nai Yang Beach; Phuket Marriott Resort & Spa, Merlin Beach; The Westin Siray Bay Resort & Spa; JW Marriott Phuket Resort & Spa; JW Marriott Khao Lak Resort & Spa; and The Naka Island, a Luxury Collection Resort & Spa. Marriott’s hotels have been hosting Helmet Painting events at schools in Thailand since 2016. As part of the company’s “Serve360” global CSR program, missions will be held every quarter this year. Thank you to Renaissance Phuket Resort & Spa for hosting this year’s event.